This is my first Daring Bakers recipe challenge and I’m so excited to post this and be a part of such an exciting group. I love a good challenge (food or otherwise) so this group is right up my alley. 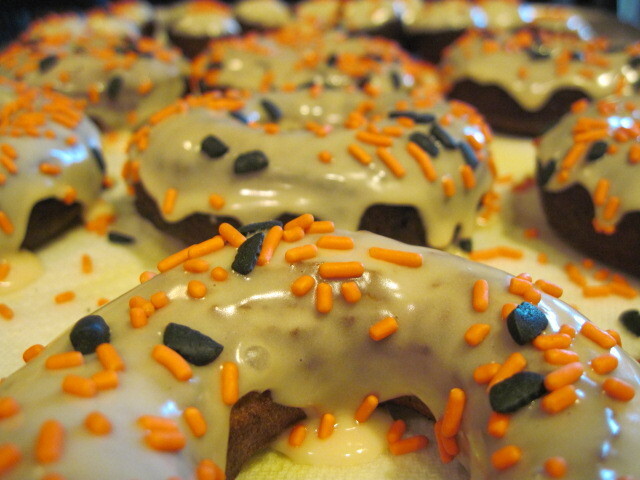 I’m sure I’ll have my share of unsuccessful turnouts as far as challenges go, but for my first one these pumpkin doughnuts were ‘Da Bomb (and I mean that in the best way possible)! I was a bit worried at first because I thought that my dough was too sticky. 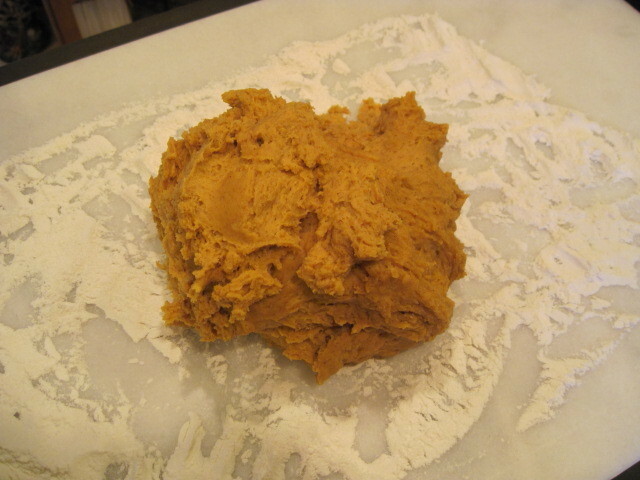 Thankfully, the recipe also called for chilling the dough in the fridge for a few hours. That did the trick and it firmed up quite nicely. 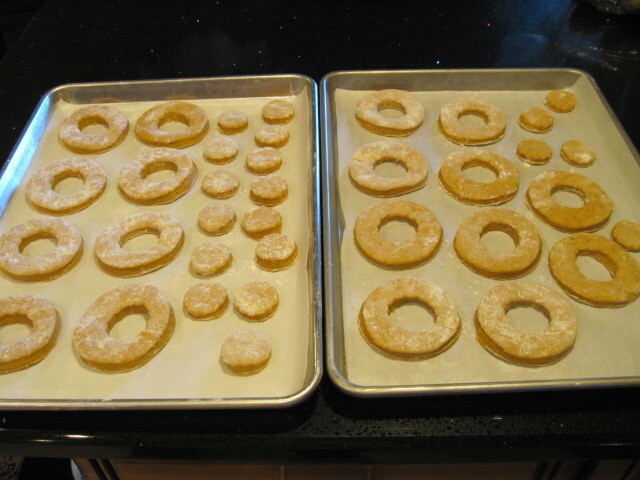 It was then relatively easy to cut into my doughnut shapes with the addition of lots of extra flour on my board. 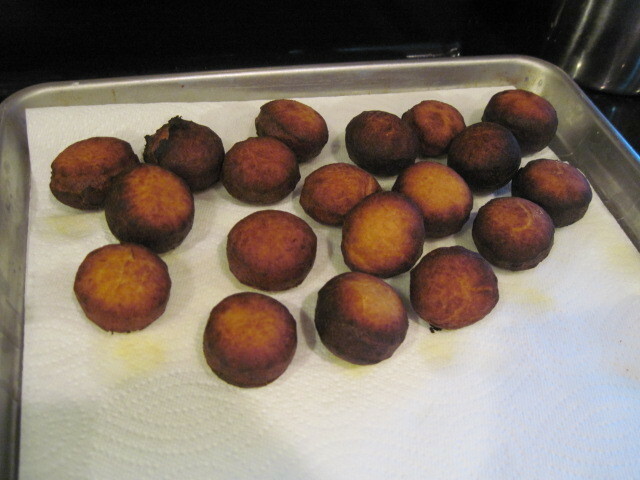 I had my oil just a bit too hot when I did my doughnut holes so they were a little darker than I wanted. It all happened so quickly. 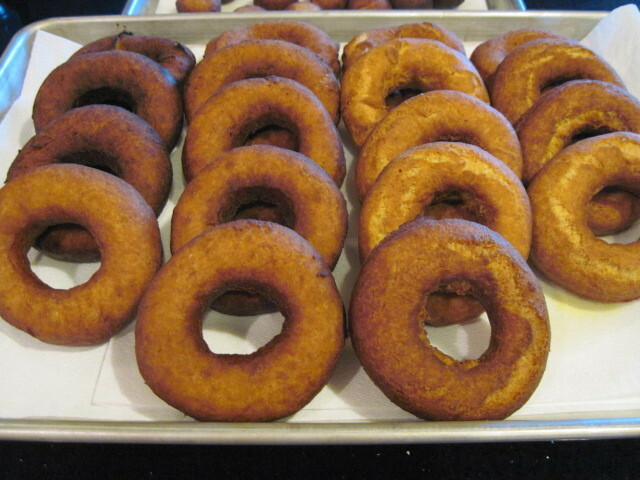 I had to adjust my timing and my oil temperature for the actual doughnuts themselves. 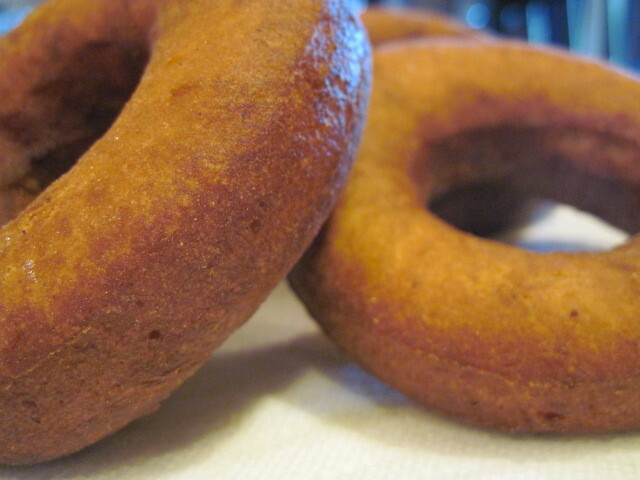 I couldn’t help myself, I had to take a lot of what I’ll like to call “beauty shots” of my doughnuts because I was so excited at how well they turned out. 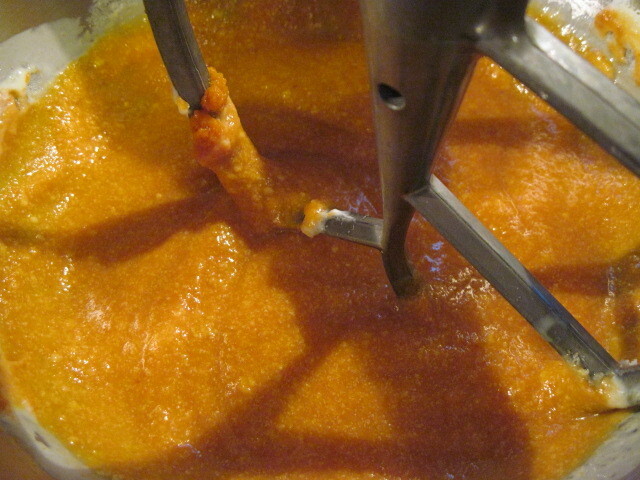 Next comes the icing. 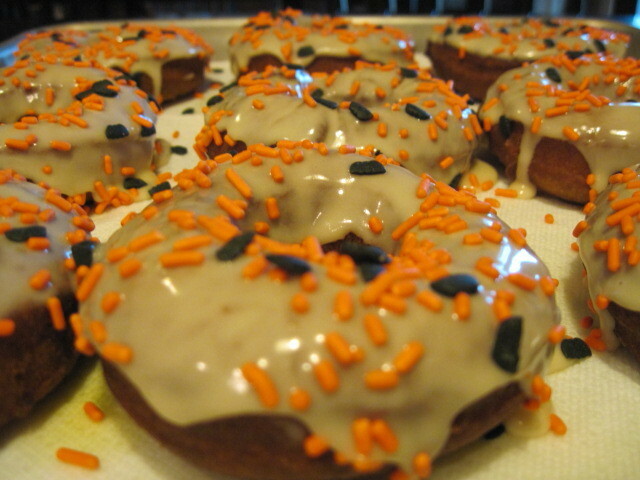 I added maple syrup and a touch of milk to confectioners sugar to make a maple sugar glaze and added some Halloween sprinkles. These were excellent and I’m happy to report that they didn’t all stay at our house. They freeze exceptionally well and I actually gave quite a few of them to my girlfriend for her birthday. She is a doughnut and pumpkin lover so it really was the perfect gift her! Great timing for a great recipe! One challenge down. Can’t wait to see what’s next in the world of The Daring Bakers! Beautiful, Renee! Daring Bakers do so many fun things–enjoy! 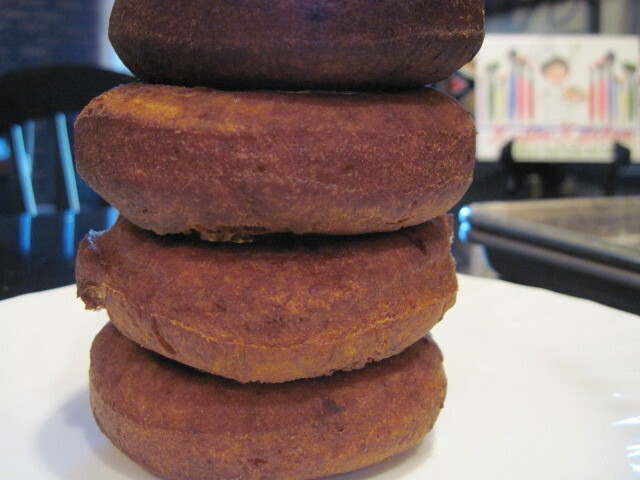 Your donuts are great. Love the addition of maple. I wanted to add orange sprinkles to mine, but when I went to the cupboard I was all out. They look perfect for the season. Welcome to DBs – you're going to love it. Welcome to the Daring Bakers! 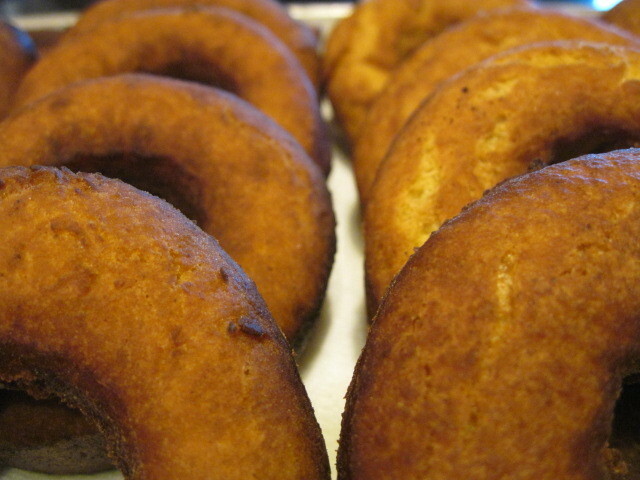 Your donuts look amazing! 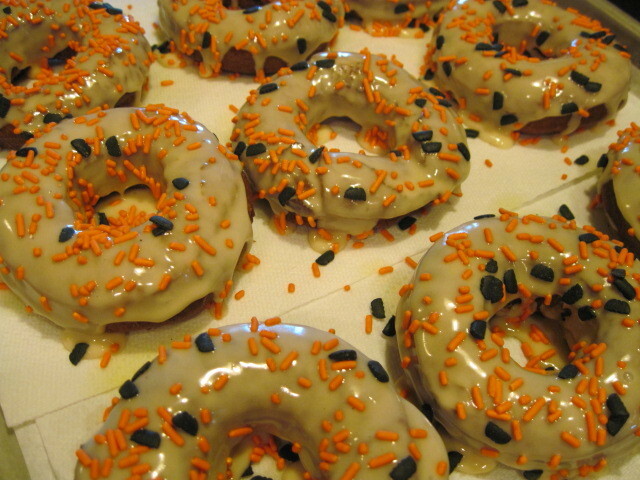 I love the Halloween sprinkles (I wish I would have thought of that!). Congratulations on your first of many challenges. I think you are going to have a blast with the group! Did you join the Daring Cooks too? ?